The 100% Java Vortex OpenSplice Configurator tool is a powerful reference tool for configuring Vortex OpenSplice. The Vortex OpenSplice Configurator is distributed with the Vortex OpenSplice core distribution. It will distinguish between Data Distribution Service (DDS) community and commercial versions and will indicate those features that are not included in the product’s community edition. The default directory for OpenSplice configuration files is %OSPL_HOME%/etc/config. If your Vortex installation is located in an administrator protected directory the configuration editor will be unable to save modifications, consider moving the file elsewhere. 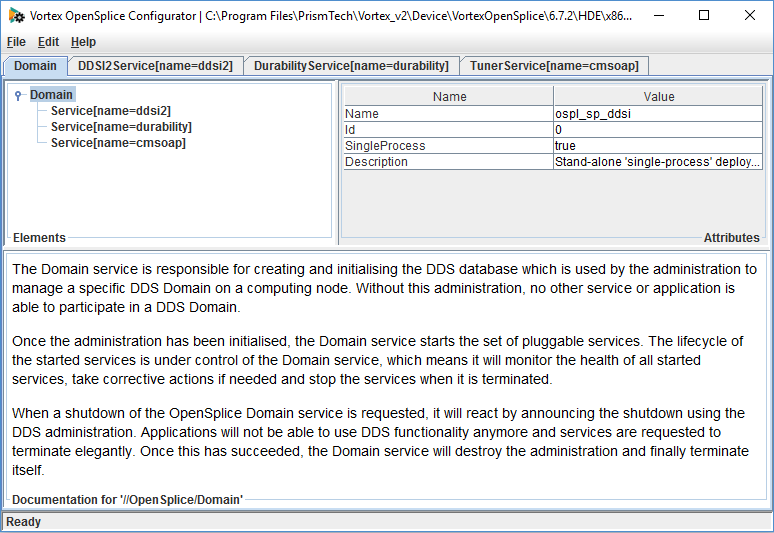 This page displays all currently enabled OpenSplice services as tabs i.e, currently DDSI2 Networking, the Durability Service and the Tuner Service are enabled. The Domain is the top level view of the current configuration. The bottom box will display relevant information and tips relating to each service or service attribute as they are selected. 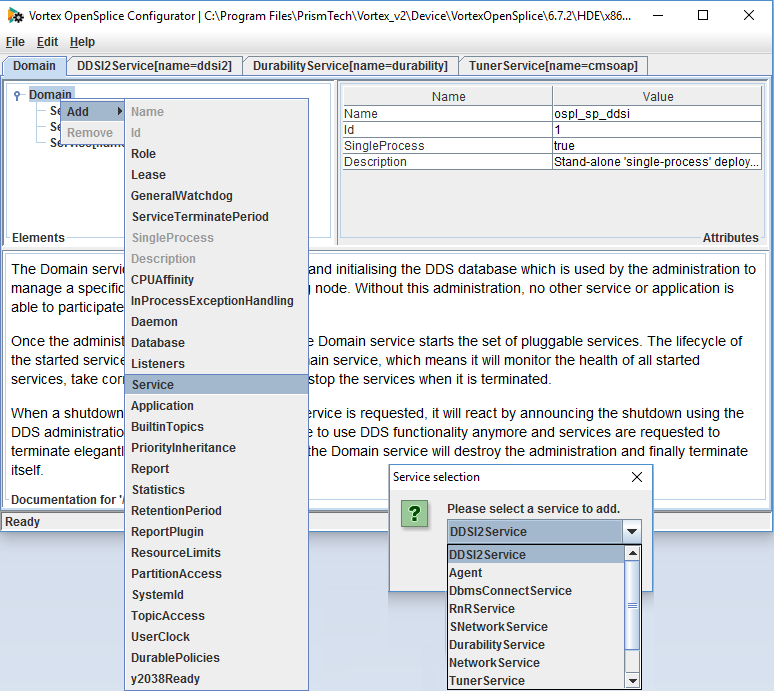 Services and other attributes can easily be added to the current configuration by right clicking the domain and moving through the menus, if you are unsure at any point of a particular option, click Help -> Help Contents to display information regarding all possible configuration parameters.